Home > Blog > Memorial Day 2017! Memorial Day weekend just passed. Memorial Day is a federal holiday in the United States for remembering the people who died while serving in the country’s armed forces. As the smoke clears from the celebration, we have decided to pay our respects to the soldiers of the U.S. & give a little history lesson as well. This national holiday may also be the unofficial start of the summer season, but all Americans must take a moment to remember the sacrifice of our valiant military service members, first respondent’s and their families. Memorial Day is a day of both celebration and grief, accounting for the honor of our heroes and reflecting on their tragic loss. The Federal Government has designated an “official” birthplace of the holiday. On May 26, 1966, President Lyndon B. Johnson signed the presidential proclamation naming Waterloo, New York, as the holder of the title. This action followed House Concurrent Resolution 587, in which the 89th Congress had officially recognized that the tradition of observing Memorial Day had begun one hundred years prior in Waterloo, New York. Live Science also debunked the Waterloo account. There is no dispute that the holiday gained national recognition after the American Civil War in 1868, when General John A. Logan of the Grand Army of the Republic, an organization of Union veterans founded in Decatur, Illinois, established it as a time for the nation to decorate the graves of the Union war dead with flowers. By the 20th century, various Union and Confederate memorial traditions, celebrated on different days, merged, and Memorial Day eventually extended to honor all Americans who died while in the military service. Memorial Day endures as a holiday which most businesses observe because it marks the unofficial beginning of summer. The Veterans of Foreign Wars (VFW) and Sons of Union Veterans of the Civil War advocate returning to the original date, although the significance of the date is tenuous. Changing the date merely to create three-day weekends has undermined the very meaning of the day. No doubt, this has contributed a lot to the general public’s nonchalant observance of Memorial Day. 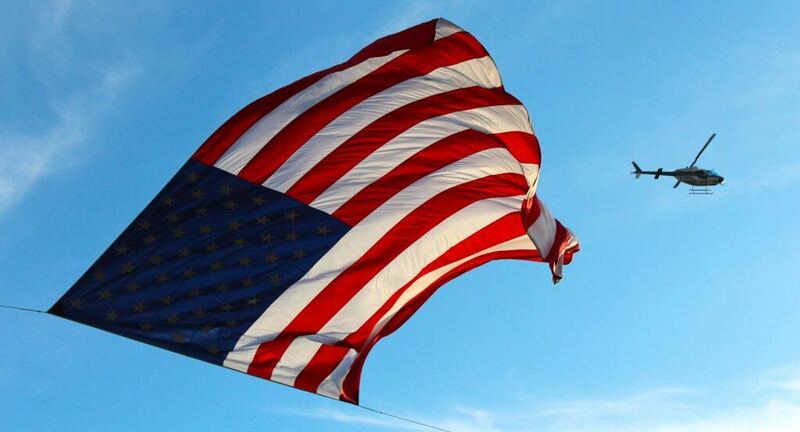 On Memorial Day, the flag of the United States is raised briskly to the top of the staff and then solemnly lowered to the half-staff position, where it remains only until noon. It is then raised to full-staff for the remainder of the day. Memorial Day observances in small New England towns are often marked by dedications and remarks by veterans, state legislators, and selectmen. The half-staff position remembers the more than one million men and women who gave their lives in service of their country. At noon, their memory is raised by the living, who resolve not to let their sacrifice be in vain, but to rise up in their stead and continue the fight for liberty and justice for all. The National Memorial Day Concert takes place on the west lawn of the United States Capitol. The concert is broadcast on PBS and NPR. Music is performed, and respect is paid to the men and women who gave their lives for their country. One of the longest-standing traditions is the running of the Indianapolis 500, an auto race which has been held in conjunction with Memorial Day since 1911. It runs on the Sunday preceding the Memorial Day holiday. NASCAR’s Coca-Cola 600 has been held later the same day since 1961. The Memorial Tournament golf event has been held on or close to the Memorial Day weekend since 1976. The final of the NCAA Division I Men’s Lacrosse Championship is currently held on Memorial Day. In 2000, Congress passed the National Moment of Remembrance Act, asking people to stop and remember at 3:00 P.M.
← Peace Officers Memorial Day / National Police Week!